NetSupport’s award-winning Remote Control solution, NetSupport Manager, provides a single, high speed solution for the remote management of multi-platform devices from both desktop and mobile. In its most recent review from PC Pro, the solution receives a 5/5 star rating and a PC Pro Recommended award. 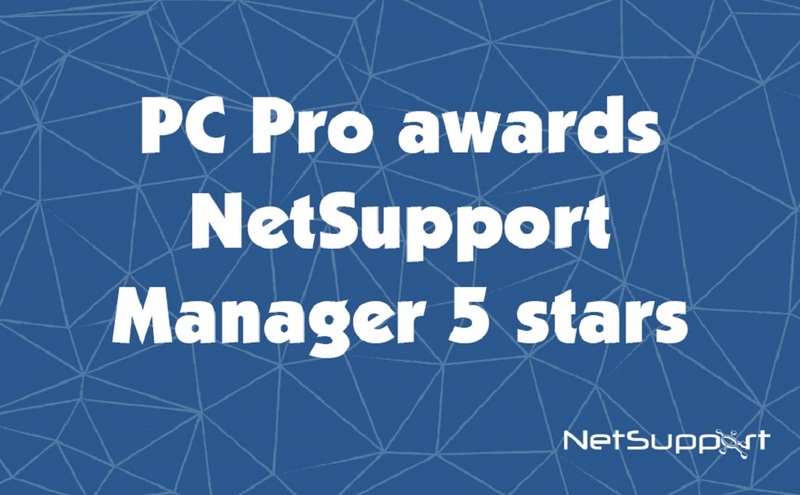 Independent reviewer, Dave Mitchell, says: “NetSupport Manager is a classy on-premises remote support solution that’s packed with useful features and priced right for businesses of all sizes”. He goes on to say “SMBs seeking a no-nonsense, on-premises remote support solution will struggle to do better than NetSupport Manager 12.5. It boasts an unparalleled suite of support tools, it works with almost every platform out there, and its perpetual licensing scheme means you have no ongoing subscription fees to worry about”. To read the full review from PC Pro, click here.